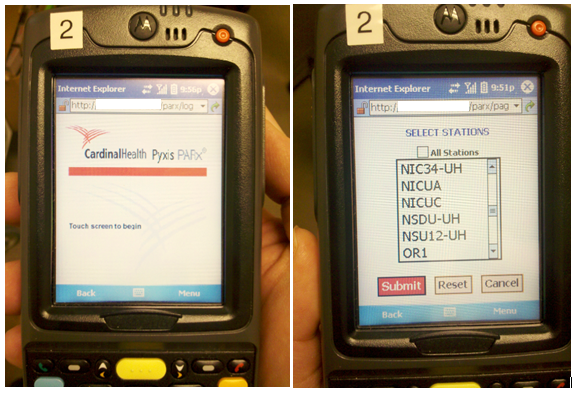 I’ve used Pyxis PARx before, but only in combination with a carousel storage system. I recently had the opportunity to play with the standalone version of PARx and all I have to say is yikes! The system utilizes an older version of Windows Mobile on a clunky Motorola handheld. To get from log-in to a useful place in the application required me to go through no less than four screens. The touch screen was unresponsive and difficult to use, the device was painfully slow and the connectivity was lacking. So, to sum up my experience with PARx – used with carousel technology it’s great, but try to use the standalone product and you might find yourself spewing profanity.